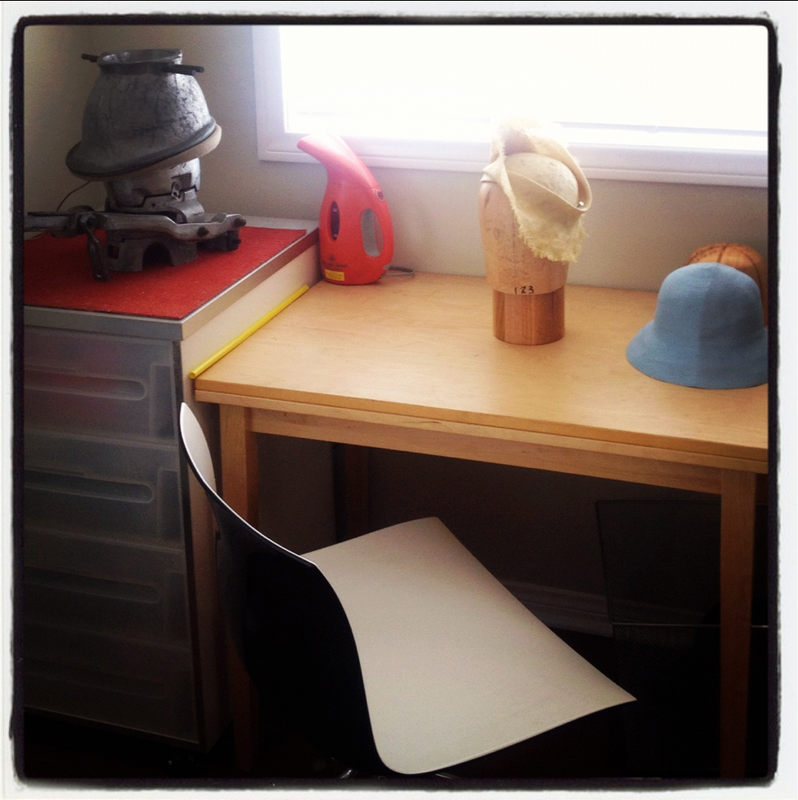 My Millinery Work room: A nook to call my own. I had taken a very long break from making hats that coincided with becoming a mom. I found this little nook and decide it was time to unpacked all my millinery supplies and start again. Here's a peek into my nook. Already a few new hats in progress.